1. Who wrote Boris Godunov and Pictures at an Exhibition? 4. Dorothea Brooke marries stuffy old Edward Casaubon in this "Study of Provincial Life." 5. From what movie does this image (which has been slightly altered for quiz purposes) come? 6. What always began with the song "Suicide is Painless"? 7. Her last name Ciccone, but she's too big a star to need it. 8. He told Richard Nixon that "I voted for you during your last election," and famously wrote that "political power grows out of the barrel of a gun." 9. What artist created this painting, and what is its significance in the history of art? Kidding! Just the painter's name! 10. It is -- by a hair -- the southernmost capital city in the Americas. The tie-breaker: A whopping 18 countries have a name that begin with this week's letter. List as many as you can. 3. Mistake? the thing that is like a synecdoche but starts with an M? 10. Managua, no. Monterrey, no. Montevideo, no. How you mean "have a symbol that begin"? Like, a mandala? India. I know, I'm seriously underwhopped. A machete? A moon? Not too good this time. I'll second the "what do you mean by symbol" question. I could probably name all 18, as that sounds like something up my alley, but I'm not sure what you are asking. Hey--that bonus wasn't there this morning! Blogger ate my comment again. Obnoxious website. Macedonia, Morocco, Mozambique, Mexico, Monaco, Malta, Malaysia, Madagascar, Malawi, Mali, Marianas, Maldives, Marshall Islands, Mongolia, the Middle Kingdom. You have previously come out against Myanmar. But I suspect you're using it in this list. The hardest part of coming out against Myanmar is telling your parents. I'm just glad to have a supportive family that appreciates me the way I am. 1. 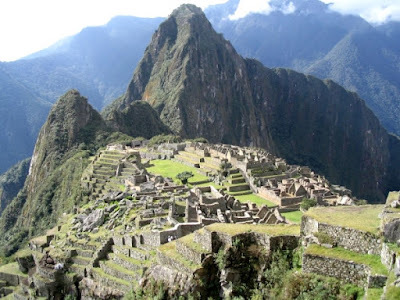 Boris Pasternak, if it's Peru. Hmm no that didn't work. Not Monet again. Give up. 3. synecdoche or metonymy, whichever begins with the right letter. 4. Mourningside Abbey or something like that. 5. 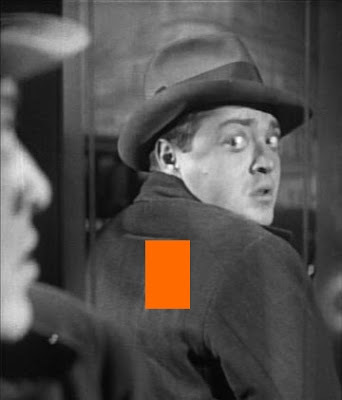 Now I'm fixating on the orange spot, wondering what it could be covering up that would give away the movie, and suspecting that it's nothing, that you just put an orange rectangle on to mess with me.It is, perhaps a McGuffin. Maltese Falcon. That's going to be embarrasingly wrong era, isn't it? 8. McCarthy - the communist hunter guy? 9. I don't think Monet is right, but he's my main M-guy. 10. Montevideo - really? that's whacked. It's like halfway up. But it's the best M.
I think I may have started to make some up towards the end there. 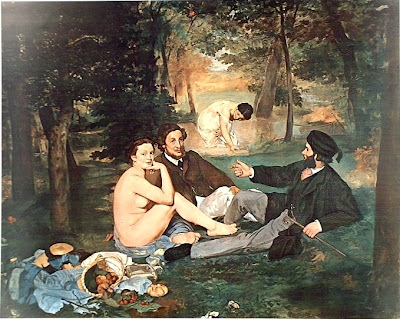 Did I even know that there was a Manet and a Monet? Is there also a Minet and a Munet? Thanks for the clarification. Now, to resume with my geekery: Macedonia, Madagascar, Malawi, Malaysia, Maldives, Mali, Malta, Marshall Islands, Mauritania, Mauritius, Mexico, Micronesia, Moldova, Monaco, Mongolia, Montenegro, Montserrat*, Morocco, Mozambique, Myanmar. * for some definitions of "country" - I'm sure you as a geek know that "country" is impossible to define and for geography geeks like me, the question of "how many countries" are there are infuriating, doubly so because the question only gets asked of geography geeks like me. Yes I memorized them (and pretty much all the other countries) in alphabetical order, my geekdom demands no less. I suspect dhkendall of making a sneaky early big for Vice Dorkdom! Aviatrix is killing me! I'm too sore to laugh so much. Okay, here's a tip: MANet painted humans with great insight and feeling; MANkind, get it? MONET is the one with the lovely gardens in Givenchy, and his focus was on Nature. Both were Impressionists and contemporaries. Degas for ballet...(he lent his Japanese prints to Mary Cassatt and Vincent van Gogh.) Some painters are more cross-word useful than others--Xwords being another of my vices, along with M5000. I know Degas, because my chemistry teacher brought in some ballet dancer prints to make some point or other about space groups in organic chemistry. And I know Monet from the movie Titanic. And how could I forget Mauritius and Moldova. That's where that super valuable stamp, and that obnoxious woman come from, respectively. Six quizzers supplied country names. The cool popular countries listed by all six were: Mali, Malta (independent since 1964), Mongolia, Morocco, and Mexico. Five IDed Madagascar and Monaco (independent since 1297, although arguably a special economic zone of France set aside for corruption). Four votes apiece for new Macedonia, Malaysia, Mauritania, and Mozambique. Three apiece for Malawi, Burma, and the Marshall Islands, independent since 1986. Two apiece for Micronesia (also independent since 1986), the Maldives, the Marianas, and Magyar. "Magyar" is the ethnicity of most Hungarians what they put on Hungarian postage stampes; the Marianas is an island chain that is divided into the U.S. territory of Guam and the U.S. territory of Northern Marianas, arguably a special economic zone of the United States set aside for corruption. Minorca and Majorca are resort islands in the possession of Spain and populated by Brits on holiday. The "Middle Kingdom" usually goes by "China." Male' is the capital of the Maldives, and I suspect pops up in this list because it has a distinctive airport. Macao, until 1999 a Portuguese territory, is now a special zone of the Middle Kingdom. I have no idea what Mjollnar is. Mycenae is, like, a Greek city-state of antiquity. Mars is just somebody getting punchy. Mauritius, underrated Moldova, and new Montenegro only got one apiece. Montserrat is a British territory to the extent that it is anything at this point, having been largely gutted by volcanic activity. Thank you for this informative answer, Michael!